“International Women’s Day is celebrated on March 8th every year. … After women gained suffrage in Soviet Russia in 1917, March 8th became a national holiday there. 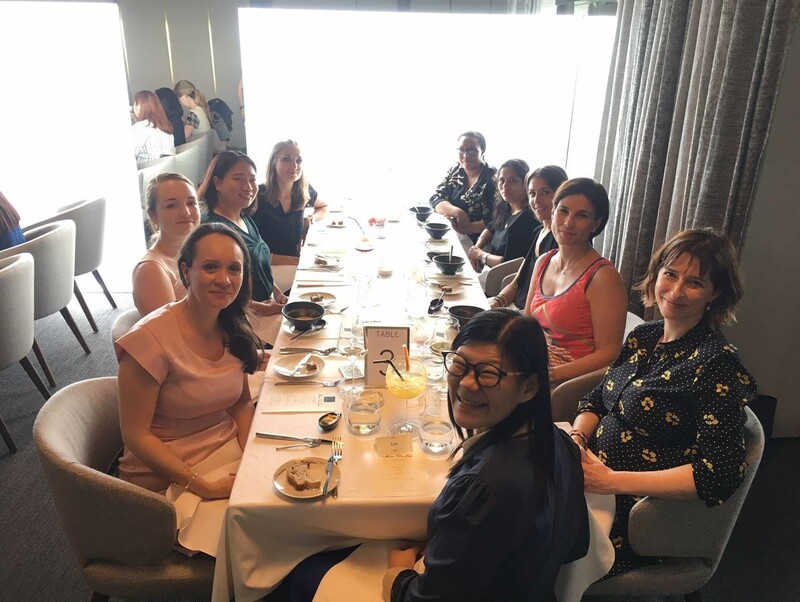 The day was then predominantly celebrated by the socialist movement and communist countries until it was adopted in 1975 by the United Nations!” HJM Asia Law proudly pursued the tradition and hosted its annual women’s lunch on March 22nd, 2019. This year, HJM invited a group of more than 35 professional women coming from 25 different countries and with various backgrounds and expertise. We celebrated women leadership and business successes of this amazing group! This was another great network opportunity and forum to share each other’s accomplishments and achievements. 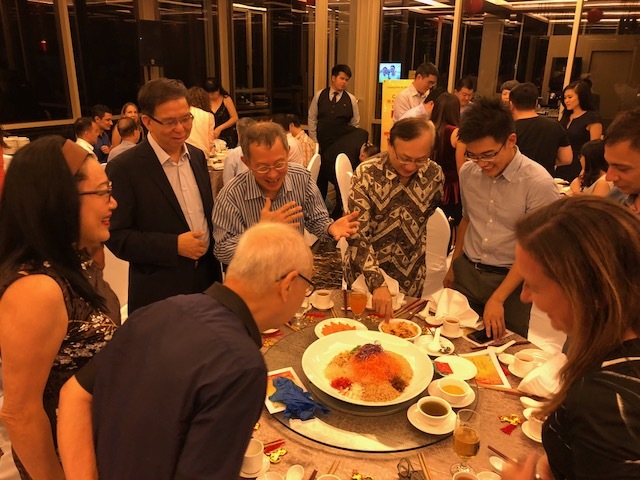 Caroline Berube, Managing Partner of HJM Asia Law, hosted 20 guests at the annual Canada Night at the Races at the end of February 2019. 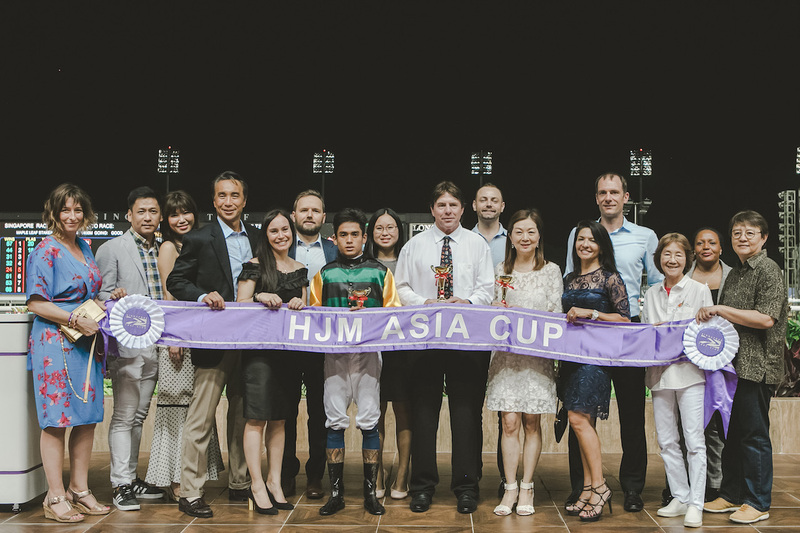 HJM Asia Law had its own HJM Asia Cup! Canada Night at the Races is an event organised by the Canadian Chamber of Commerce in Singapore and held at the Singapore Turf Club annually. Canada Night at the Races is one of the biggest Canadian events in Singapore and once again, it was a huge success with about 250 Canadian, local and expat attendees. 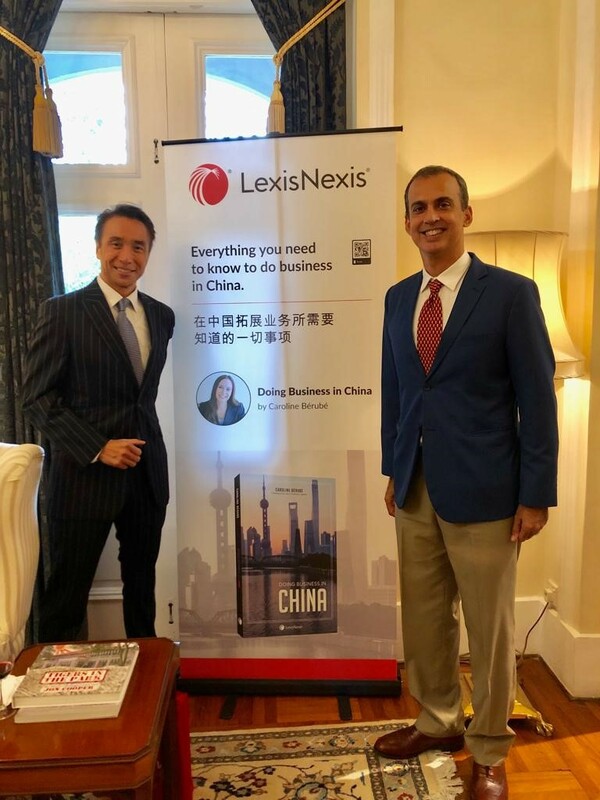 Caroline Berube, Managing Partner of HJM Asia Law, and author of the book “Doing Business in China” has agreed to be one of the main sponsors of the Chinese New Year Reunion Dinner, organized by the Canadian Alumni Singapore. 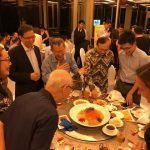 The Canadian Alumni Singapore (CA-S) was formed by a volunteer group of Colombo Plan scholars in 1979. It is managed by an elected Executive Committee with guidance from a Board of Advisors. 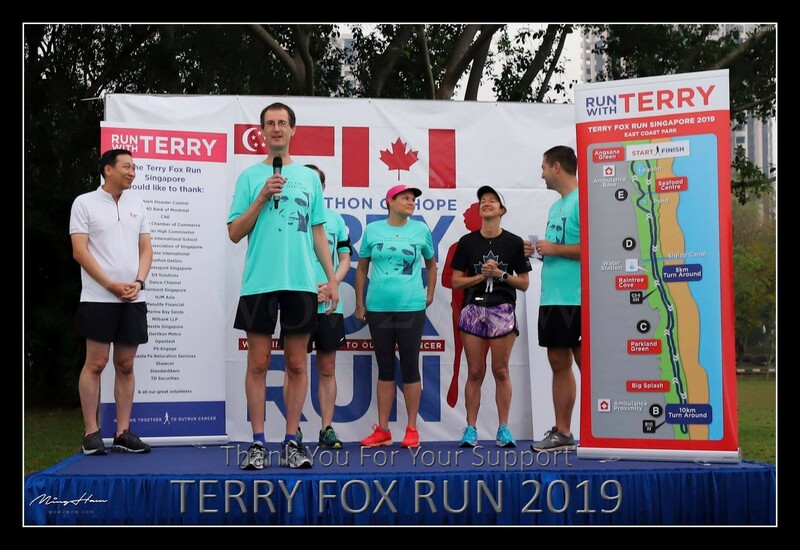 The High Commissioner of Canada to Singapore was invited to serve as Vice-Chair in the founding Board of Advisors, a tradition which continues today. 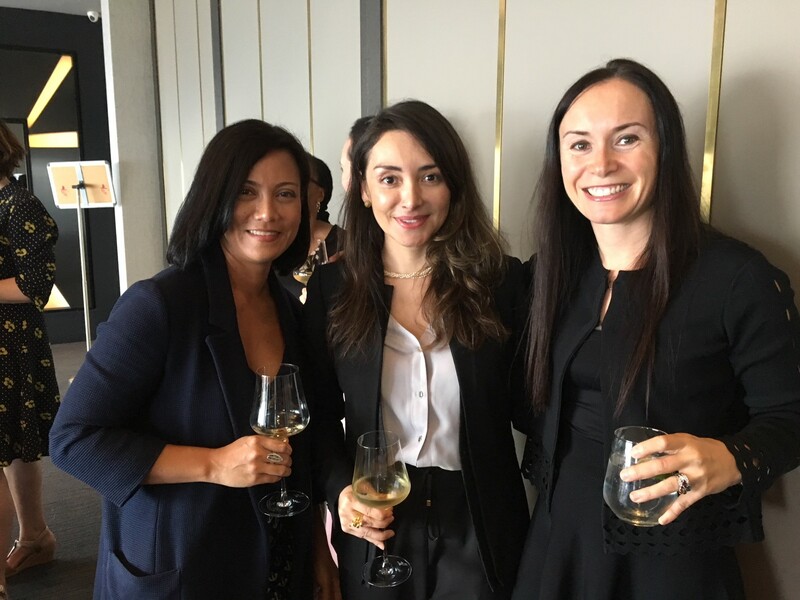 Caroline Berube, Managing Partner of HJM Asia Law, was privileged to attend a reception hosted by Her Excellency Lynn McDonald, High Commissioner of Canada in Singapore, at her official residence, on the occasion of the visit to Singapore by The Right Honourable Justin Trudeau, Prime Minister of Canada. 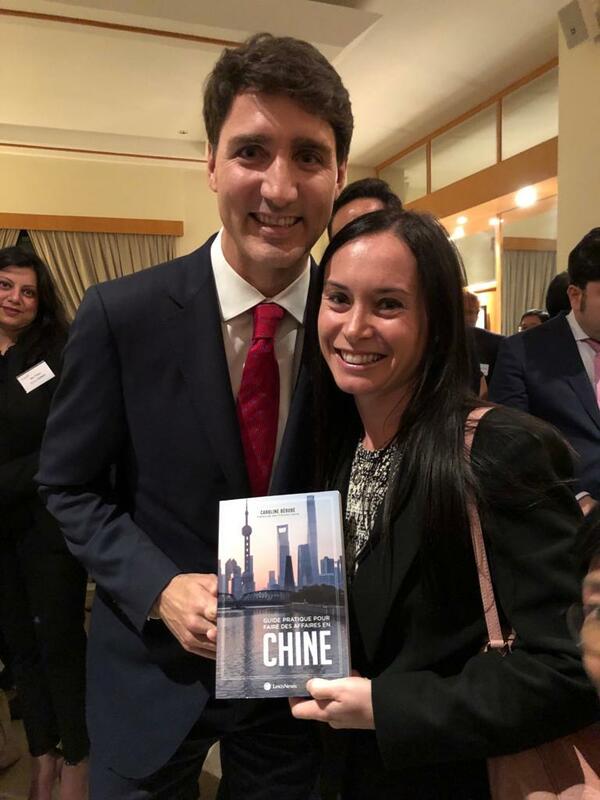 Caroline is seen here presenting the Prime Minister with a copy of her new book “Guide pratique pour faire des affaires en Chine” (published by Lexis Nexis in English too and titled “Doing Business in China”). 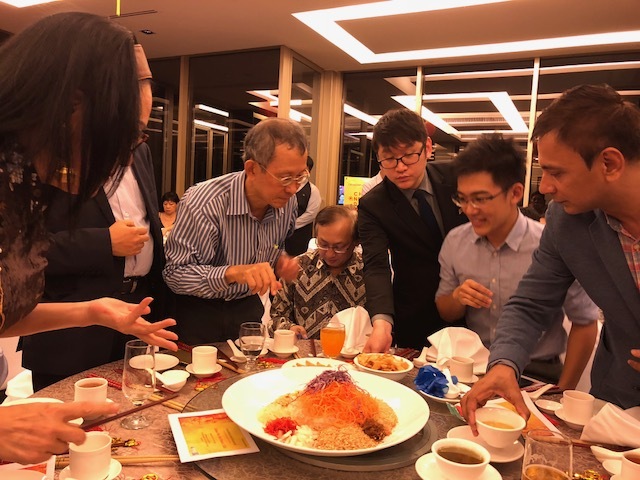 Caroline Berube, Managing Partner and Kelly Vouvoussiras, Partner of HJM Asia Law, hosted a McGill Alumni Table at the Canadian Alumni Singapore (CAS) Chinese New Year dinner held at The Glass House at the Fort Canning Hotel. 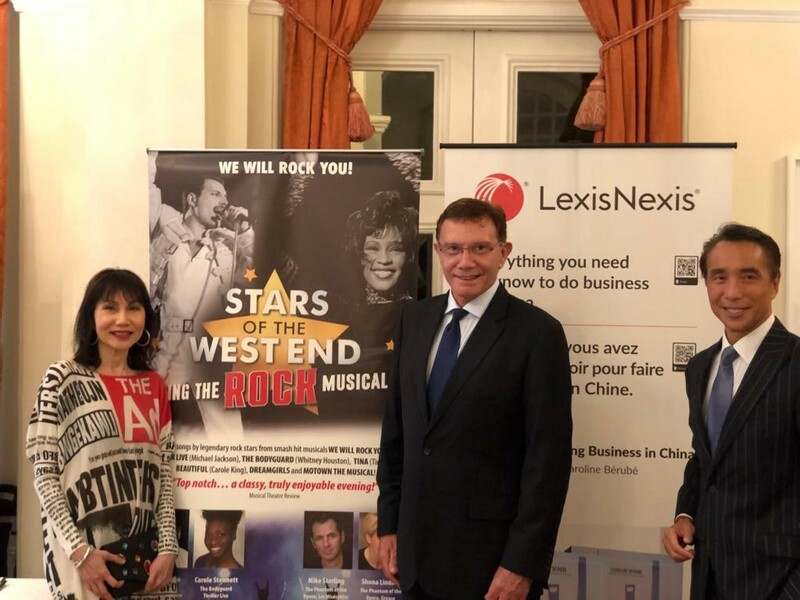 The event was a huge success and brought Canadian Alumni and clients based in Singapore to celebrate the start of the Year of the Dog! 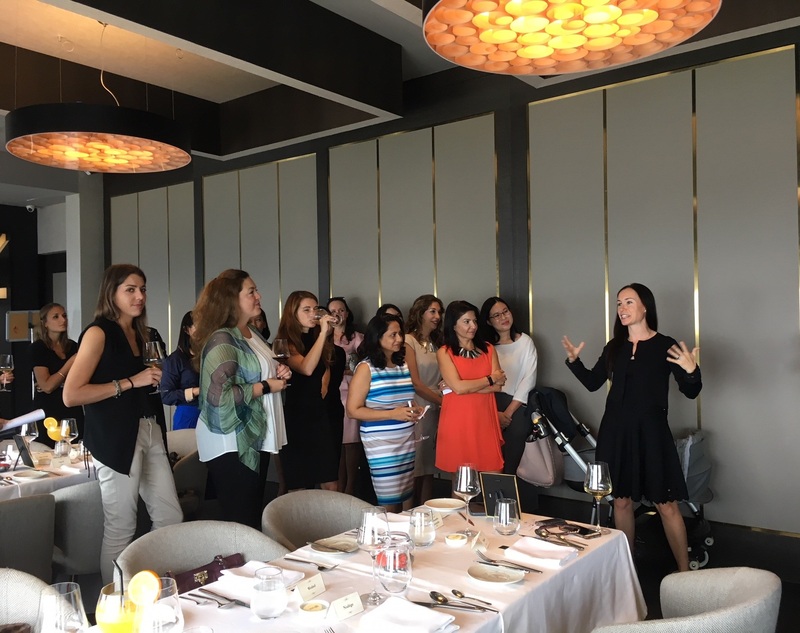 HJM Asia Law proudly pursued the tradition and hosted its annual women’s lunch on May 30th, 2017. This year, HJM invited a group of more than forty (40) women with various backgrounds and expertise to this event, which celebrates women leadership and business successes. This was another great network opportunity and forum to share each other’s accomplishments and achievements. HJM’s team is already planning the 2018 edition! 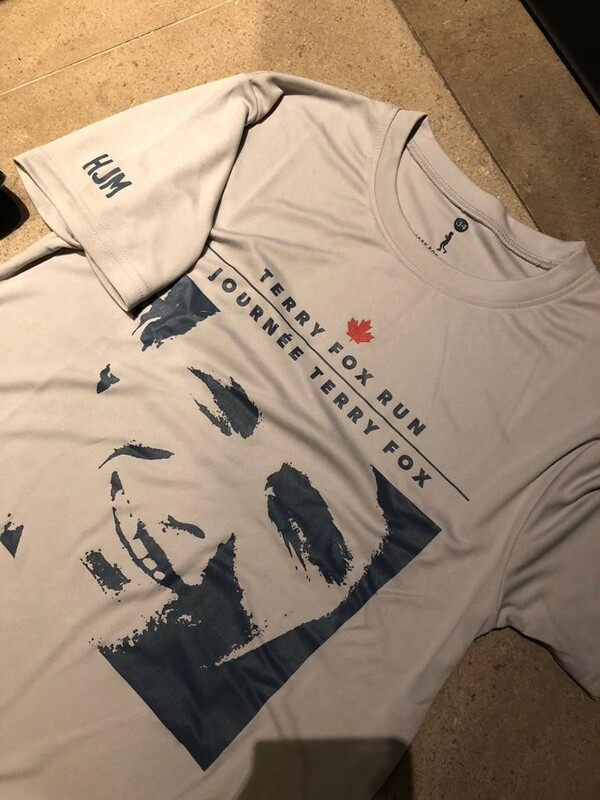 This year, HJM Asia Law’s team participated to the Canadian Alumni Singapore Inter-University Bowling Championship, which took place at SuperBowl, SAFRA Toa Payoh. Despite not being crowned champions, our team had a lot of fun and will come back stronger next year! 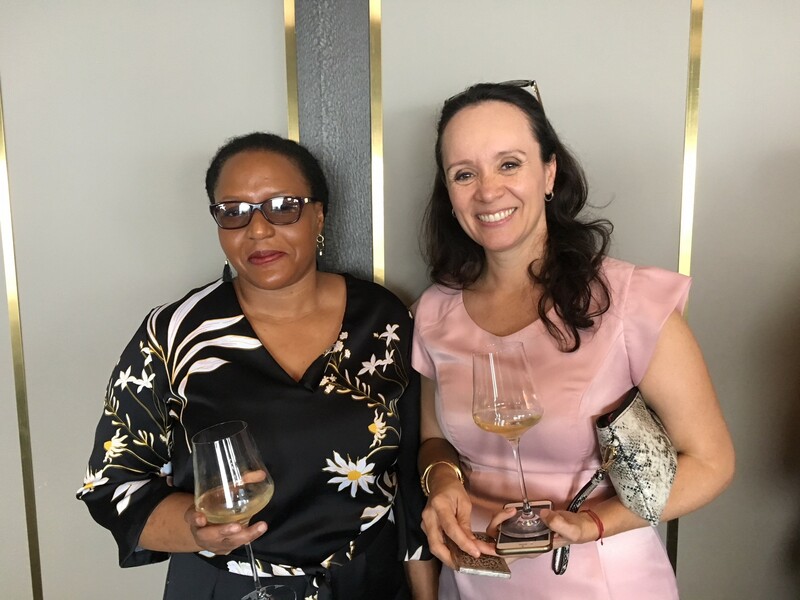 Caroline, together with 30 Young Global Leaders (YGLs) from around the world met in Johannesburg for a special education module organised by the WITS Business School (WBS). Under the theme ‘Leading for Transformation’, the module introduced 30 dynamic YGLs to the concept of leadership in the African political and economic context. It also aims to offer YGLs an intense, immersive personal development experience with regard to African societal and leadership opportunities, and practical networks for developing links between African and Rest-of-World leadership projects. The young leaders began their tour with a visit to the Cradle of Humankind followed by a welcome dinner hosted by Wits Vice-chancellor Professor Adam Habib at his official residence, Savernake. The group also visited Johannesburg’s Maboneng District, the Origins Centre and the Tshimologong Innovation Hub at WITS University, and the Kliptown Youth Programme (KYP). The full programme of the event can be viewed here. 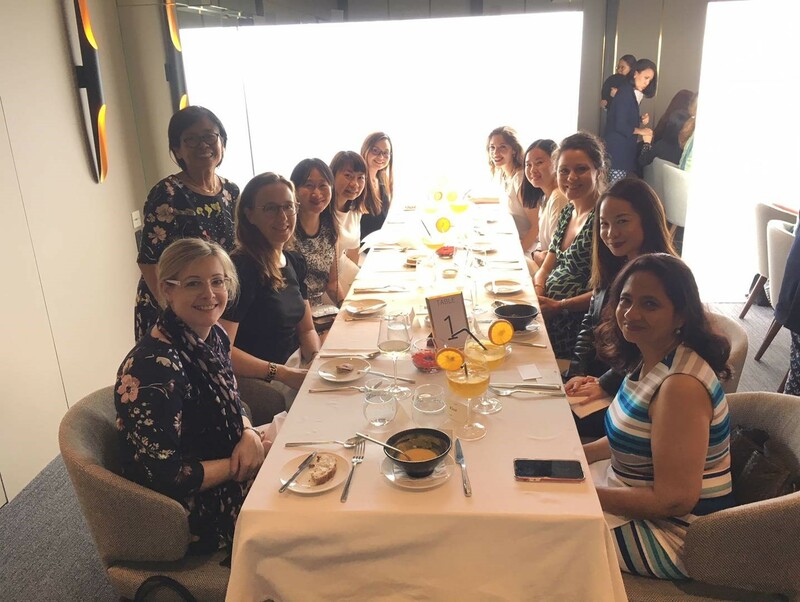 Every year HJM Asia Law organizes the Annual HJM Women’s Lunch to recognize the women leaders in the community and celebrate the successful and ambitious women around us. 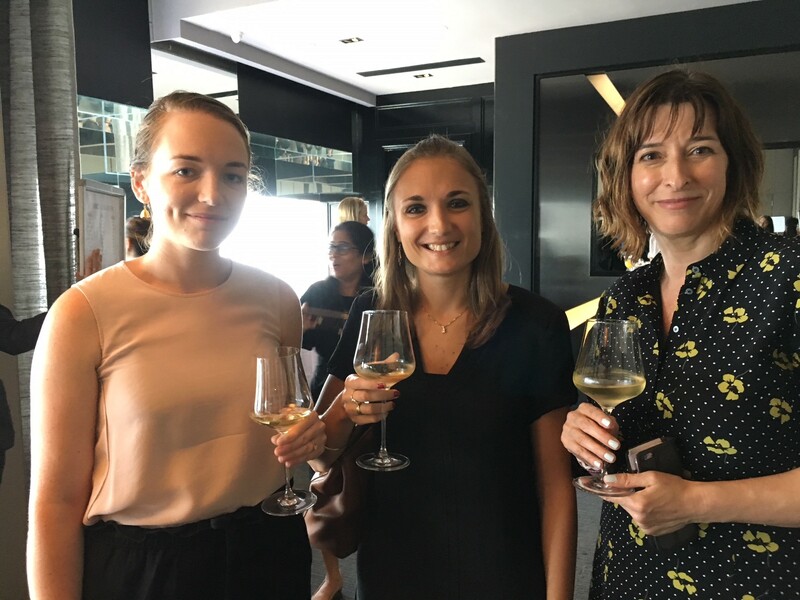 This was another huge success with women from various backgrounds and industries getting together to connect, form valuable relationships and of course, celebrate their achievements. HJM Asia Law and Caroline love being part of a huge women’s network and share each other’s accomplishments. HJM Asia invited a group of twenty-five (25) leading women in Singapore to a luncheon at the Tower Club for the occasion of the Women Day (which was on March 8th, 2011). 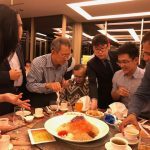 This luncheon was a good occasion for the group to exchange about business, finance and challenges. HJM Asia was one of the sponsors of a most anticipated and awaiting event, the Canada Night at the Races 2011 hosted by the Five Pillars of Canada in Singapore (the High Commission of Canada, the Canadian Alumni, the Canadian International School, the Canadian Association and the Canadian Chamber of Commerce) to meet, mingle and make new contacts and friends while taking a gamble and having fun!. HJM Asia invited fifteen (15) leading women in Singapore to a luncheon at the Tower Club for the occasion of the Women Day (which was on March 8th, 2010). This luncheon was a good opportunity for the group to exchange about business, finance and challenges.